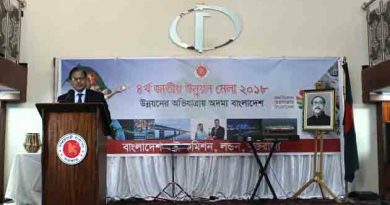 “Bangladesh is ready to use South-South Cooperation (SSC) platform to share its best practices in ‘Population and Development’ among the countries in the South for achievements of International Conference on Population and Development Programme of Action (ICPD PoA). 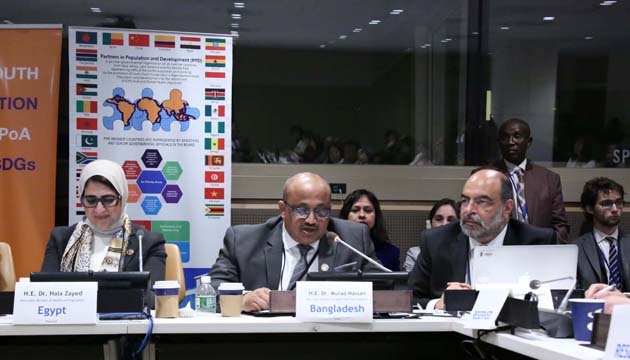 We are also keen to learning from best practices of our partner countries, UN agencies and taking advantage of the south-south cooperation model to overcome the challenges” -said Dr. Md Murad Hassan MP, State Minister for Health and family Welfare, in an event titled ‘South-South cooperation for the achievement of the ICPD PoA and the 2030 Agenda’ on the sideline of the 52th session of the Commission on Population and development (CPD) at UN Headquarters, today. 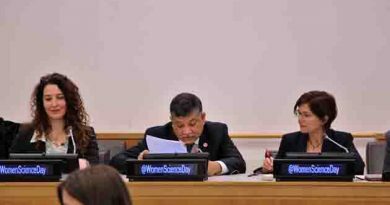 In his statement, he elaborated on the extraordinary progress of Sheikh Hasina’s government in achieving ICPD goals and SDGs. He also underscored Bangladesh’s remarkable success on reducing of infant, children under five and maternal mortality rate; rise of life expectancy, use of contraceptives; poverty reduction; development of primary and secondary level education and elimination in gender disparities. 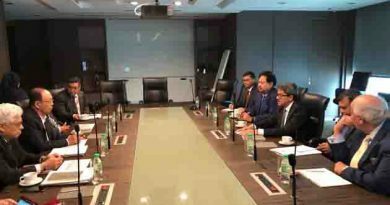 The State Minister also informed about the improvement of primary healthcare service delivery system of Bangladesh and established of about 14,000 community clinics under the guidance of Prime Minister Sheikh Hasina. The State Minister made some specific recommendations to mitigate the challenges of achieving ICPD POA and 2030 agenda which are: 1) Strengthening south-south cooperation, and investing more to the idea of “Centers of Excellence” with focus on population and development. 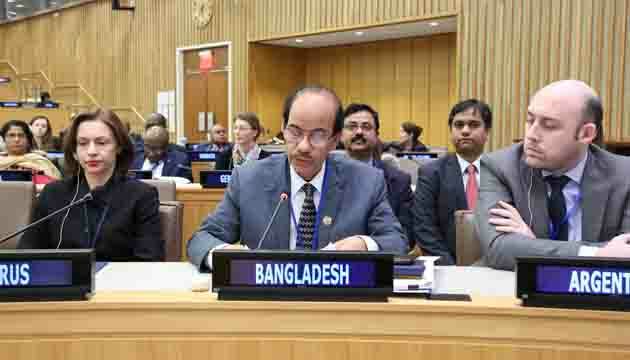 In this regard, he said, “Bangladesh is keen to hosting the first such south-south center in collaboration with UNFPA and other partners”, 2) Increasing the opportunities for training and capacity building of south-south cooperation focal persons in developing countries, 3) developing a strategic framework for promoting South-South and triangular cooperation to support innovation, new partnerships, knowledge-sharing and scaling up of proven best practices, 4) Ensuring effective political commitment for national policy and budget allocation for south-south cooperation. The State Minister talked about the Rohingya issues and its multidimensional challenges along with the challenge of meeting their health care and family planning needs. 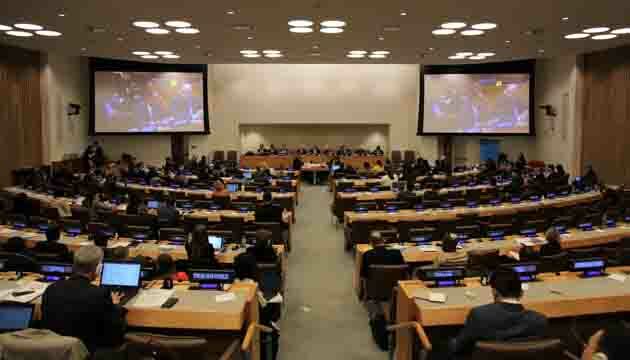 He urged the international community to come forward for its sustainable solution. Later, in the afternoon, Secretary of Medical Education and family Welfare Division GM Saleh Uddin made the country statement at the 52th session of the CPD. In the country statement, the Secretary said “Prime Minister Sheikh Hasina envisions transforming Bangladesh into a middle-income country by 2021 and a developed country by 2041. To materialize these visions, Bangladesh put youth and women development at the heart of national development agenda”. The theme of the 52nd session of the CPD is: Review and appraisal of the Programme of Action of the International Conference on Population and Development and its contribution to the follow-up and review of the 2030 Agenda for Sustainable Development. Bangladesh delegation also attended the inaugural of the 52nd Session of the CPD this morning marking the 25th anniversary of the ICPD PoA. 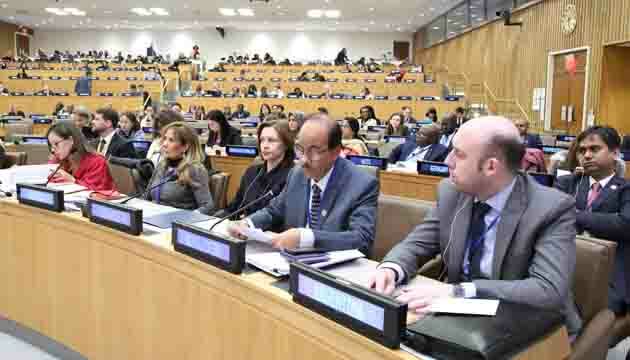 It may be mentioned that the State Minister for Health and Family welfare is leading Bangladesh delegation at the 52th session of the Commission on Population and development (CPD) being held on 01-05 April, at UNHQ in New York.